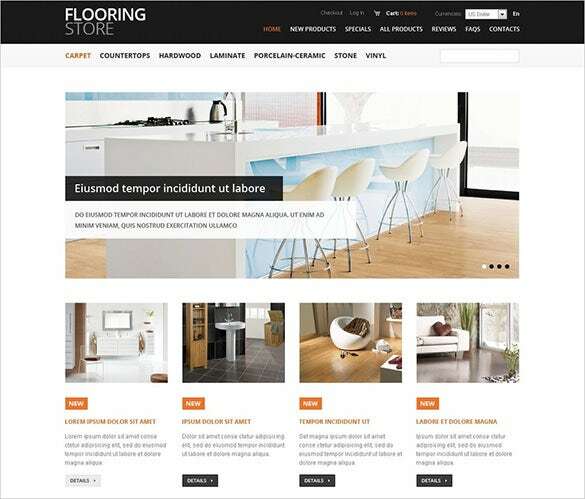 Custom social links, customized headers and footers, multi-column designs, editable product display pages, and preset pages like About Us and FAQ – we’ve got all these features bundled in amazing flooring web store ZenCart templates.The templates come in 2-column layered outlook. These Furniture ZenCart templates come equipped with a power packed Admin Panel. The templates are easy to install and also comes with an installation booklet for further assistance. 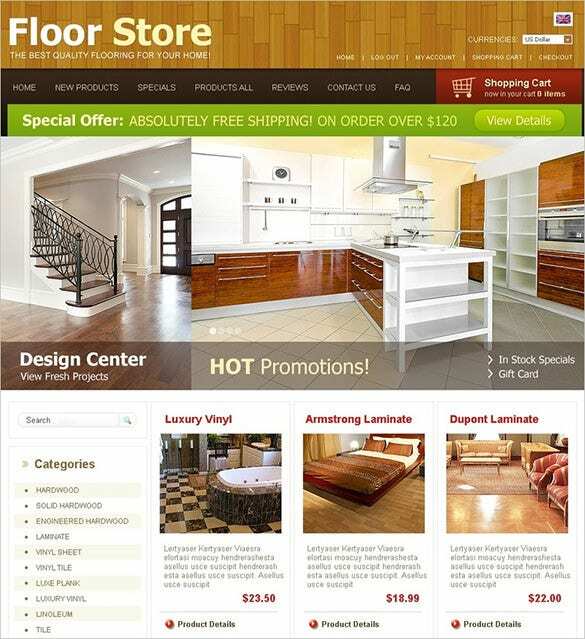 This clean zencart template is absolutely prepaid for online flooring solutions. The template features easy navigational options including top bottom button, zxslider, dropdown categories, social options, and cross browser compatibility. 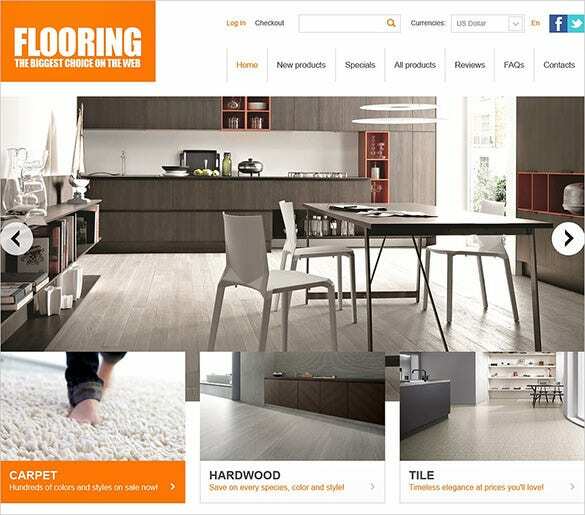 Exclusively made for online flooring stores, it gives professional outlook. The theme offers easy image presentation with its sliders, sections for featured and latest products, easy customization and drop down menu for quick navigation. A classic magazine model Zencart template for flooring. This two column page layout has large sliders, stylish and big banners, categories and shopping cart options, social options and easy navigation keys. 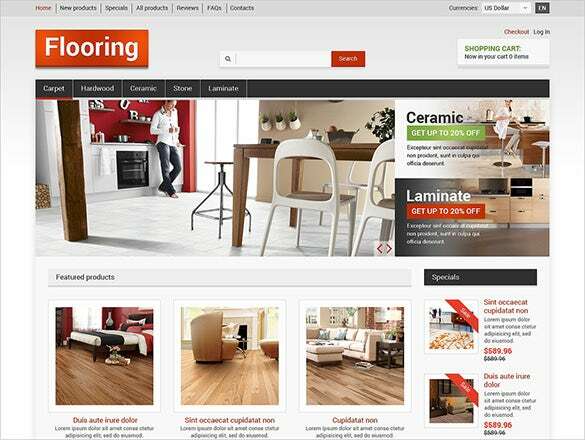 A handsome zencart template to market flooring materials by online. It includes sections for new products, specials, products all, reviews, search option, zxSlider for image presentation, shopping cart and other basic features. Hardwood Flooring is a polished design for hardwood flooring. It features two column page layout, admin panel, zxSlider for image presentation, well documented, quick and easy navigation bars and has social options. 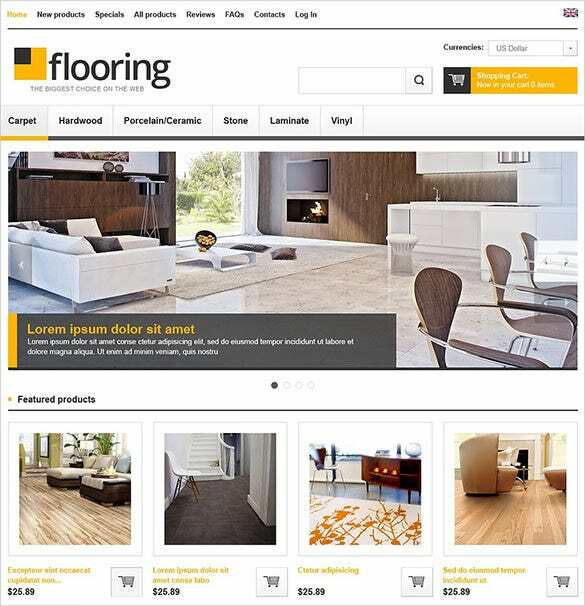 A luxurious design for premium online flooring solutions. This zencart theme has sections for products, featured designs, specials, reviews, admin panel, and is packed with PSD and PHP sources. 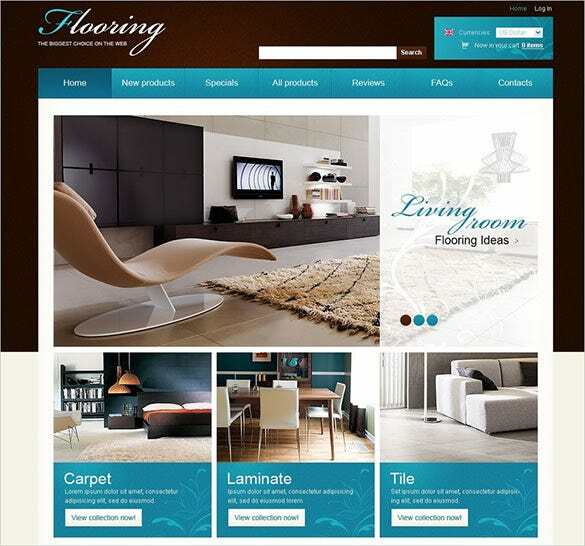 This flooring Zen cart theme provides completely responsive design and comes with admin panel for easy modification. 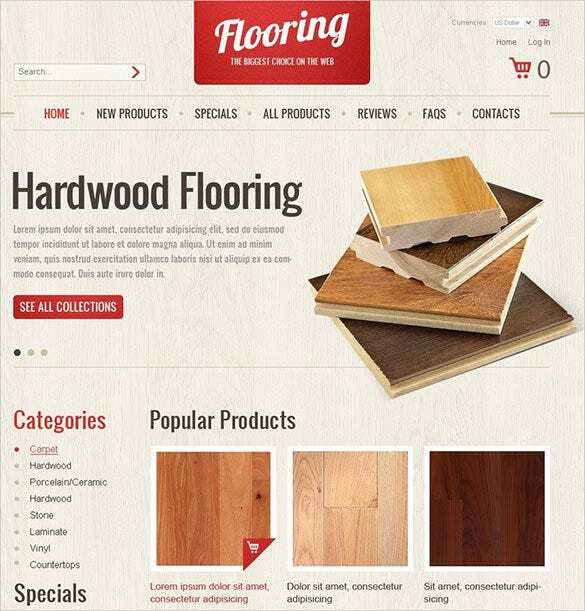 It is exceedingly useful for online businesses which provide flooring ideas. It uses JQuery coding language and comes with installation as well as set up instruction documents. The sources in which these templates are available in are PHP and PSD. The templates can be easily personalized using Adobe Photoshop CS+. Now selling these stuffs will make your website all the more elegant and efficient.